Except it isn’t. James Bond may have shown us his fancy coffee pot in Live and Let Die, but his home is certainly nothing like Wai Lin’s. The Chinese Agent has a fully equipped field office at her home, something that any self respecting spy could only dream of. After lifting a bench cover she reveals banks of guns and weaponry, a variety of computers and communication devices, and even a fire breathing dragon ornament. He suggests that Wai Lin sorts out the weapons and he will send the messages - the keyboard has Chinese characters. He decides to get the weapons. The audience sigh: But Bond revealed that he got a First in Oriental Languages in You Only Live Twice. 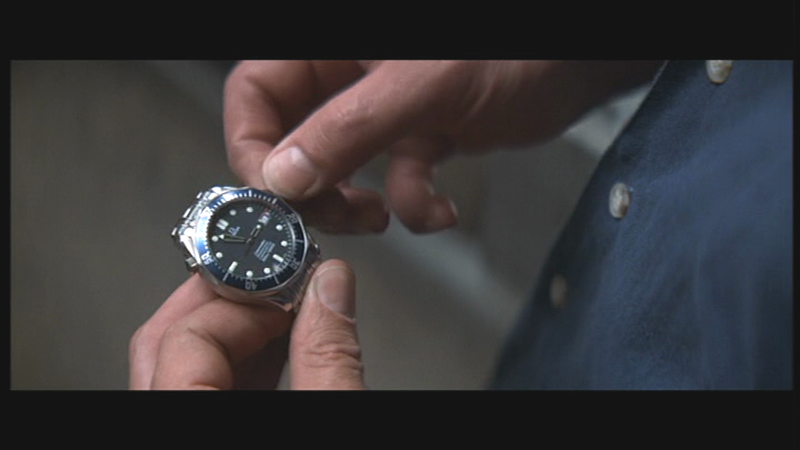 But never mind - 007 is clearly impressed and has plenty to say, “This looks familiar”, as he picks up a replica of his own Omega Seamaster 300m. “We’ve made some improvements”, replies Wai Lin, with a smile. He pops it in his pocket. We would later learn the watch has a little explosion device ship that would slide out for use. 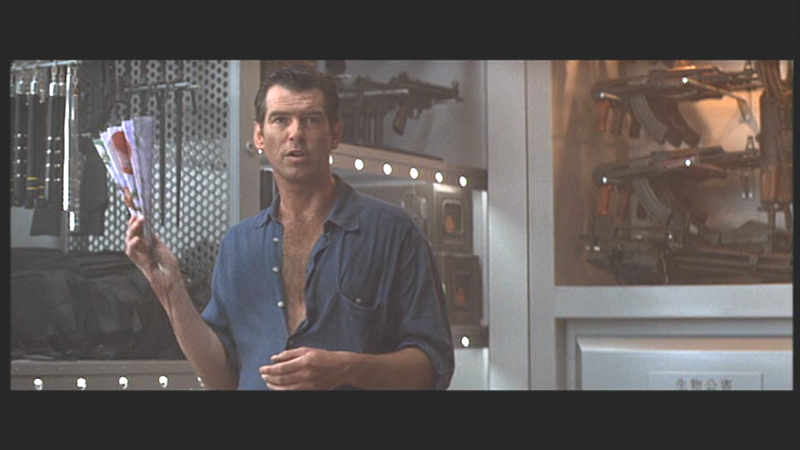 Bond then opens a fan and a variety of blades fire off in all directions. A row of similar looking guns sees Bond pick one up and admit, “Ah, the new Walther. I asked Q to get me one of these”. 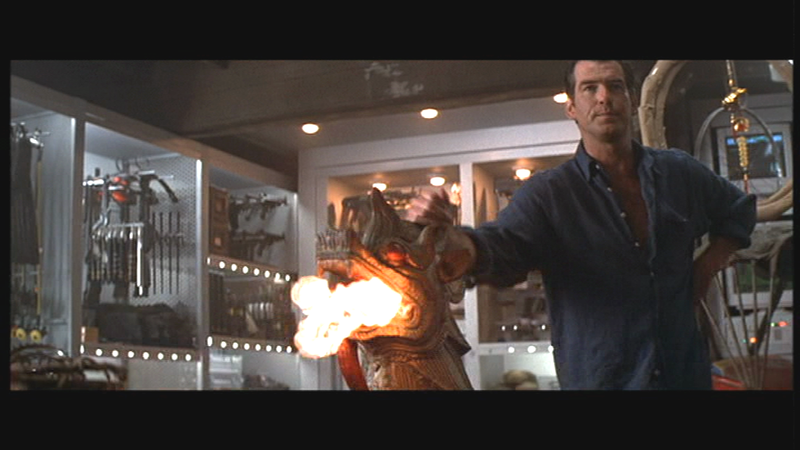 James Bond was clearly in a Spy’s toy shop. If only Q could have seen it.